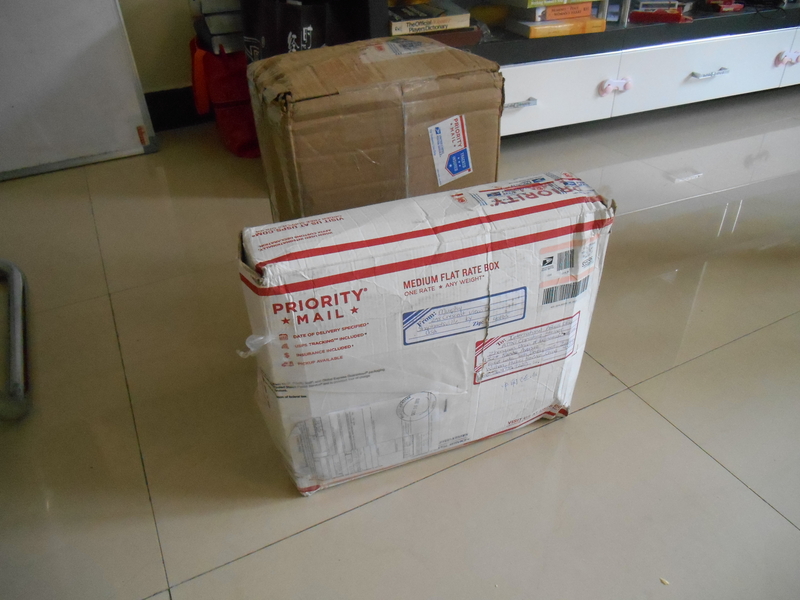 Two Care Packages actually… Mom has been on me for the past couple of days to have my Waibon check on the mail to see if I received a package. Lillie finally checked on it I think because she said I have two packages. 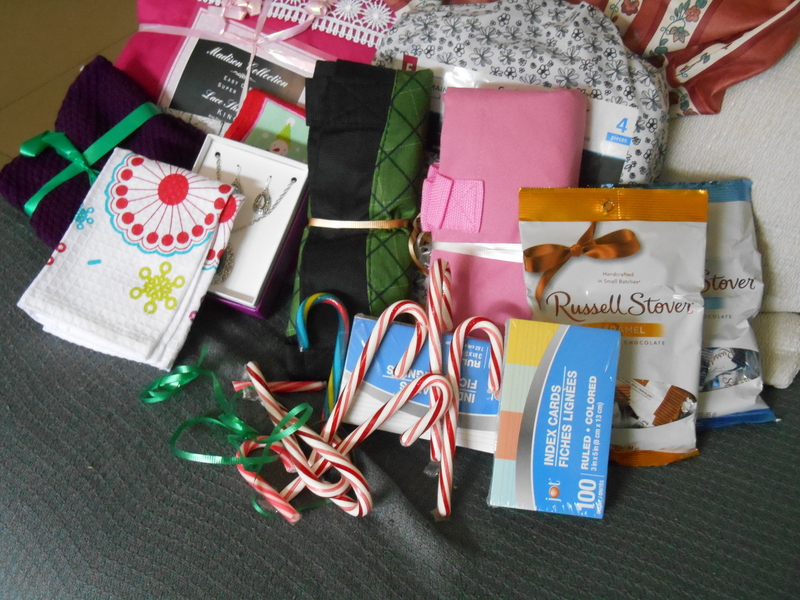 I would like to thank the ladies at church for all the wonderful goodies that you sent! 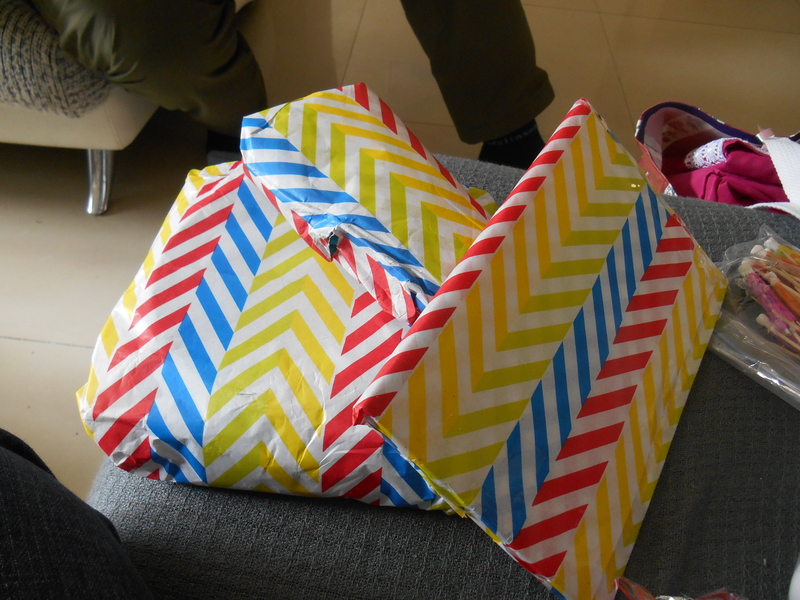 Some of the items were individually wrapped which is awesome! 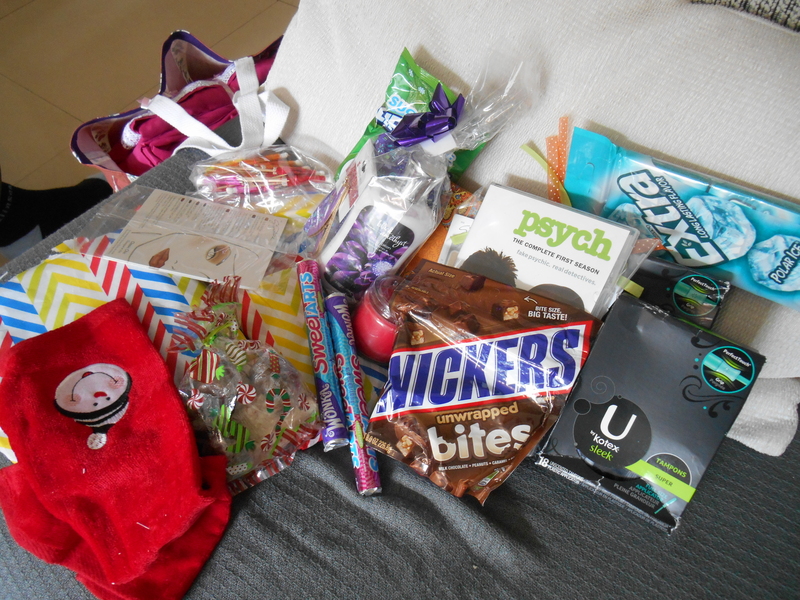 It was like Christmas (literally actually since candy canes were involved). One of my favorite things were “real American Sheets” for my beds. They don’t make fitted sheets here so my sheets have been rolling around for the past semester, and it’s so annoying. I also got a handmade tote bag to carry my groceries in so I don’t have to worry about the plastic bags breaking while I’m walking home. Oh yeah, did I mention chocolate… yep, that one’s pretty important. I got Snickers, sweet tarts (my favorite), Russel Stovers and Homemade Peanut Butter Balls and Peppermint Bark. I tried a couple of the Peanut Butter balls and they are amazing! There were so many wonderful things that I would leave out something if I tried to list everything, but I can pretty much sum it up as many of the things that I desperately needed and can’t find in China. I love and appreciate all of those who chipped in to purchase all of my favorite things, and to write cards, letters and helped with postage to me… half a world away. 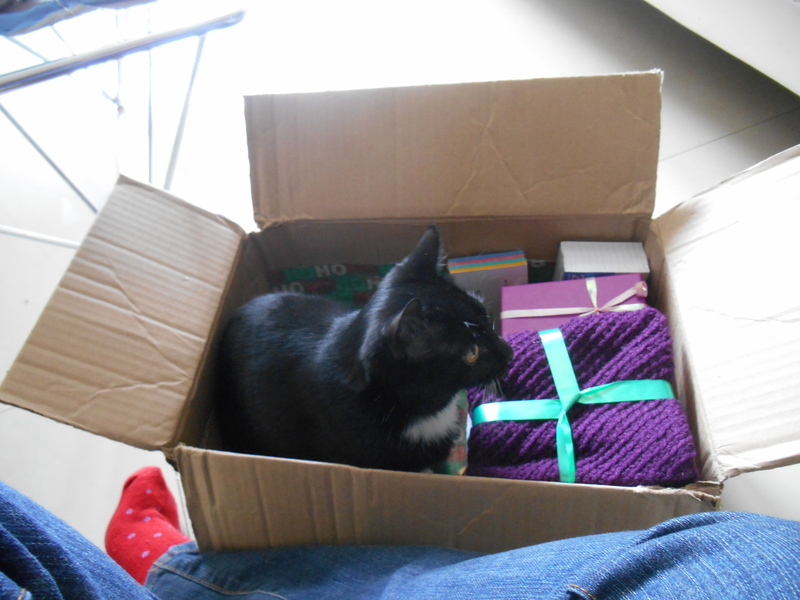 Milo was very helpful in opening the packages and absolutely loves the box and all the little strings of ribbon that came in it. I really do have an awesome family. It’s so great to have people that love me all the way from America. I think that would be great if you sent your family something. They would love anything I’m sure, it’s not about what you get them just that you cared enough to get them something.